These two hunters enjoyed a great day of waterfowl hunting a few years ago. 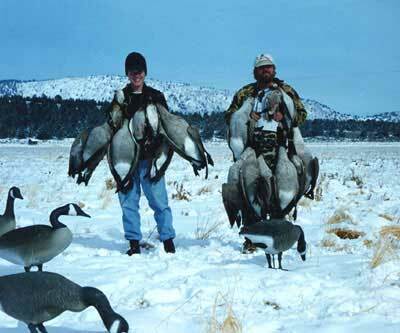 Their hunt was during the latter part of the season in Butte Valley, California. It was cold but you can tell it was well worth their effort. We're sure other hunters are looking for their chance this year.